Lemosho route is the most dramatic and beautiful route up to Kilimanjaro. It is the most remote and getting popularity now days which traverse some of Kilimanjaro most striking and least traveled landscapes, including the base of Kibo Peak’s and dramatic south-facing glaciers. 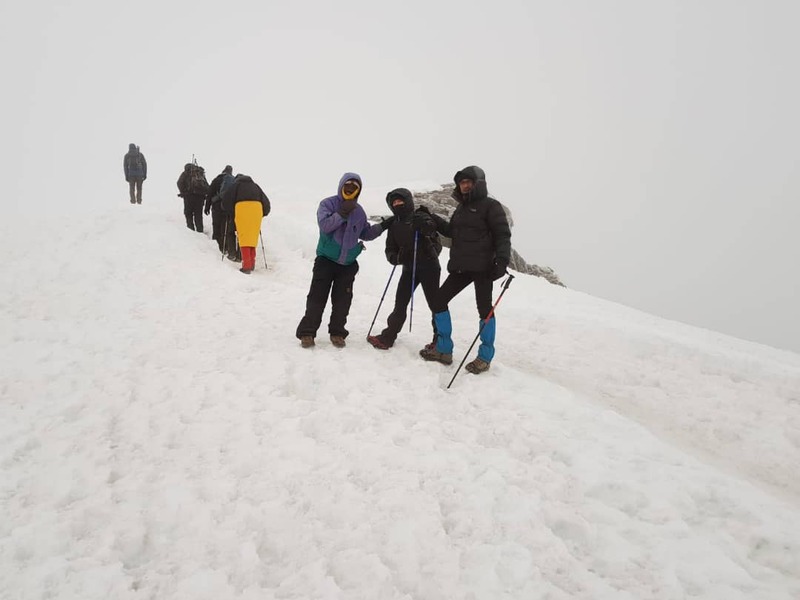 6 Days Kilimanjaro Climb Lemosho Route has added benefits of trekking across the Shira Plateau a World Heritage Site trekking 180 degrees around Kilimanjaro and also this route allowed plenty of time to acclimatize to the high altitude and this is the key to your safety, comfort, enjoyment and success while trekking mountain Kilimanjaro. Lemosho route can be climb for 6 days, 7 days and 8 days depend with your time and budget. You will sleep in the mobile tent and would be shared in the mountain two persons per tent, but a personal tent can also be provided based on a request. After breakfast in the morning, you will drive approximately for 2 to 3hours to the Londorosi Gate where you will do registration and get entrance permit. Then, you will drive again for one hour to Lemosho starting point where you will get off from the jeep and stop for picnic lunch. After lunch, you will meet all the crews including the rest of the guides, cooks, and porters. Your hike will start through crossing a rainforest for about 2 to 3 hours to cover the distance of 7km to Mti Mkubwa Camp. On the way, you will see a lot of beautiful flowers like impatiens Kilimanjaro, and if you are lucky, you might see black and white Colobus monkeys and other forest wildlife. This day will be one of your beautiful and longest hikes. For the first sessions, you will walk for 3-4 hours to Shira 1 camp. You will have a lunch stop and short break, and you will cover distance of 7km. After lunch you will hike for about 4 to 5hours to cover the distance of 9km. You will also cross the middle of Shira Plateau, a world heritage site through moorland zone, and arrive in the beautiful overnight camp located at the base of a massive lava flow. You will keep walking in Alpine Desert for 9km for about 6-8 hours. You will start by climbing over steep hills and very few rocks, then steady uphill climb to the lava tower 4600m (150 meters high volcanic plug that is just outside of the mountain). You will stop for lunch around noon. From this point, some people might start to feel a mild headache due to the altitude change. From lava tower, you will descend for about two hours through dust and rock trail to have overnight rest at Barranco Camp. After breakfast, you will leave Barranco and continue on a steep ridge passing the Barranco wall, to the Karanga valley campsite. You will have lunch at Karanga and acclimatize for few minutes before continue up to the Barafu Hut. At this point, you have completed the South Circuit, which offers views of the summit from many different angles. Here you can make camp, rest, enjoy dinner, and prepare for the summit day. The two peaks of Mawenzi and Kibo are to be seen from this position. You will cover the distances of 9 kilometers about 8-10 hours and you will be in the alpine desert. After breakfast, you will continue the descent down to the Mweka Gate (1640m) to receive your summit certificates. At lower elevations, it can be wet and muddy. Gaiters and trekking poles will help. Shorts and t-shirts will probably be plenty to wear (keep rain gear and warmer clothing handy). From the Mweka gate our vehicle will be ready to drive you back your hotel in Moshi for hot shower and beer. The descent distance will be 10km spending 3-4 hours and you will cross the rain forest.